Despite promising to give away 99 percent of his fortune, Mark Zuckerberg is still pretty well off. 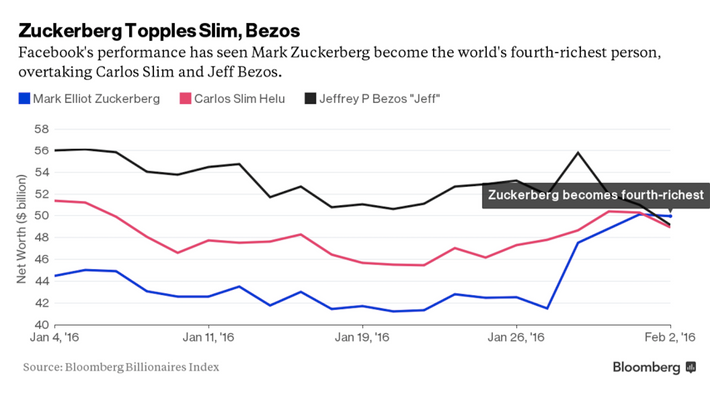 As of Tuesday, thanks to Facebook, Inc.’s improbably rising shares, he is officially the fourth-richest person in the world. 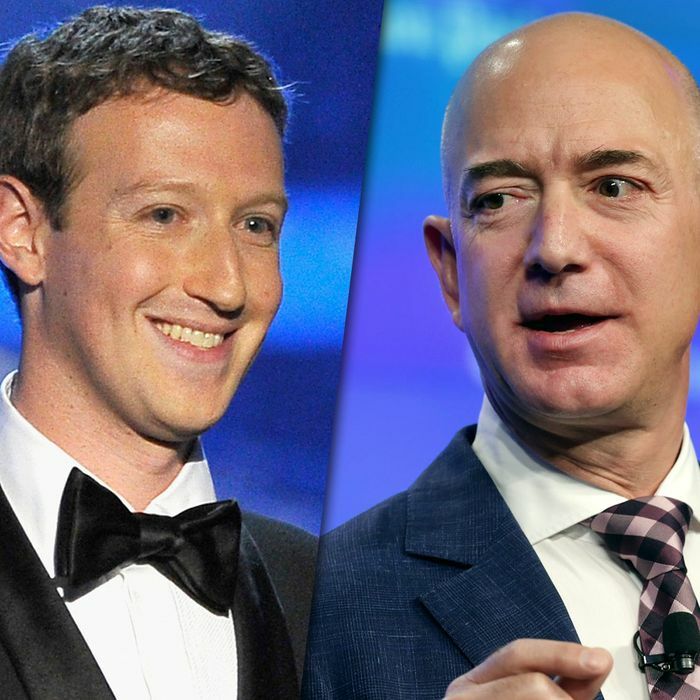 According to Bloomberg Businessweek, Zuckerberg was worth $50 billion by the close of regular trading in New York, which catapulted him past Mexican businessman Carlos Slim and Amazon CEO Jeff Bezos in the billionaire rankings. In fact, despite the stock market’s generally crappy performance in 2016, Facebook shares have somehow managed to rise 9.5 percent, making it the fourth-most-valuable company in the world after Apple, Alphabet (formerly known as Google), and Microsoft. Poor Bezos has fallen victim to lackluster markets this year; according to Businessweek, “an 18 percent decline this year for Amazon has cut $10.6 billion from Bezos’s fortune, leaving him with $49.1 billion.” Perhaps he’s been too busy investing in the digital reinvention of a legacy publication to watch the throne. As for Slim, he’s reportedly lost $3.3 billion as a result of the economic crisis in Brazil, which is usually a source of profit for his company América Móvil. So far, Zuckerberg is the “only billionaire among the world’s five richest whose fortune has increased this year.” Time to pick up a few more shirts!